Is the following I will explain possible with a key combination? As you can see, the terminal is the focus window (Front window) and Nautilus is in the background (Back Window). 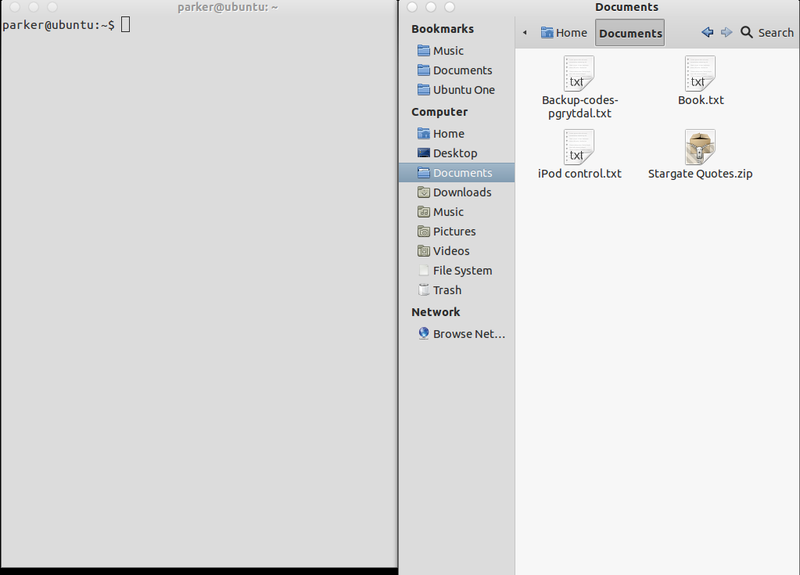 How can I grab a folder or file from Nautilus without loosing focus on the terminal (Without making the terminal go to the background and Nautilus to the front) and drop it in the terminal?. What I want is not to have to ALT+TAB again just to do this. Options like resizing the windows to fit the screen are not what I am looking for. Like in the image, we have a fullscreen window that we want it to stay like that. We can drag the terminal window around but anytime I access the background nautilus window, I should not loose focus on the terminal (It should not go to the background every time I access Nautilus). Maybe like a key combination that freezes the current focus windows positions and I can drag from background windows to background windows or background windows to the front focused one. Right-click on the Terminal title-bar and select Always On Top. You can now drag files from Nautilus to Terminal. Responsible for this behaviour on all windows is Metacity. 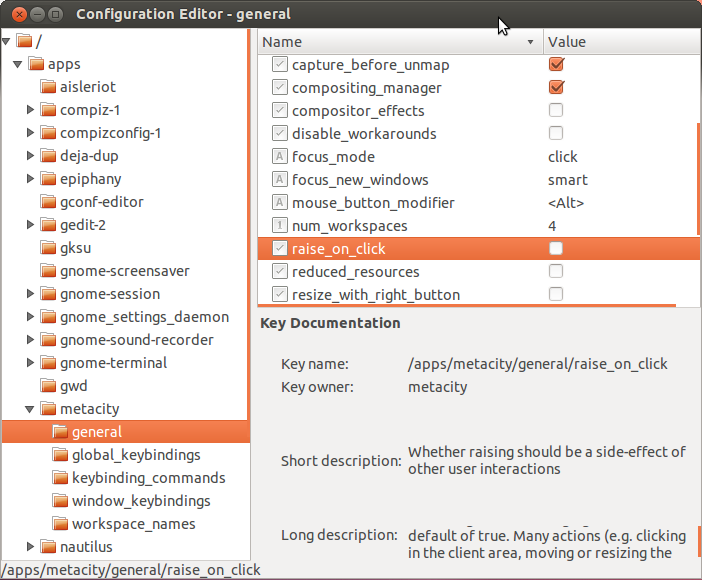 By opening gconf-editor we can disable it. Note that you then will no longer be able to raise any window by clicking on it. Not the answer you're looking for? Browse other questions tagged nautilus focus drag-and-drop or ask your own question. How do I drag-and-drop a file into a window that's not in the foreground? How do I make Nautilus windows stick for drag & drop? How can I achieve Windows-like drag and drop behaviour? What's the difference between “mouse” and “sloppy”? How can I drag file from Nautilus to Brasero?